From the time I started understanding what holding a pen meant to me, the peace it gave to my soul, I knew this wasn't conventional. Then I started reading, not much appealed, but what did, stayed. All the scribblings started making sense, like the heart lived in them. Knowing myself, I've started realizing what it feels to be one, like a writer. You love thoughts more than gold, different ones, the answers are what you seek, more than money. It stops to matter what they say, what you think starts to matter. You've been consistent in everything, be it the quests you take your heart for, or the day to day initiatives. Then you meet those people, who conquer your heart, they're the ones with the right set of words, to answer your concise. When you meet them, you ask them to scribble it down, so the best gifts you ever give are the diaries you treasure, collected from different times, saving them for the untold stories. Your heart matters so much more than your mind that your priorities know to lead you towards your heart. You don't look for answers anymore, you look for the better set of questions. You conquer the inner world, and define peace to your mind. Your mind finds a way out of the practicality and rationality that topples the judgment of the world. You realize there is nothing really good or bad, its all about the heart, how well it conceives it. Expectations aren't your thing, you lay back and do your part, and the rest is always a surprise, so whatever comes makes you happy either way, be it as gratefulness or as a lesson. You know you know you. So all that matters is the smile at the end of writing a post, something that makes your day. The only thing that breaks your heart is the discontinuity that books have, when you fall in love with one, you can't see it coming to an end. But then, you know its the writer who has appealed to your soul, so you can always go buy the other one (and try consoling yourself with such statements). You care for the hearts of others, no matter who, you can't hate anything or anyone, you value their heart as much as you value yours and yet keep expecting miracles! And the miracles come to you, 'cause you know you're a blessing to the world. You live your dreams, every day, every minute. You know its a happy little world, and you keep flashing that magic wand in your hand, that pen! Writing as art and painting pictures in the mind of the reader is the highest form of creative expression in my opinion, because it allows you to share at such a visceral level. Writing is my soul, it's what I live for above almost all else. There are a few things that, when in my hands, make me feel instant freedom, a pen is one of those things. Yes, its changed with computers and whatnot, but a thought jotted down is still a thought, doesn't matter how you go about it. If it wasn't for them we wouldn't be able to share our musings with one another and I, for one, like it. OH MY GOD. I THINK I FOUND MY TWIN SISTER RIGHT NOW. Pleaseeeee mail me when you find time, I wanted to explore more of you! I absolutely love writing, but I hate that I don't get the time to do it very often. 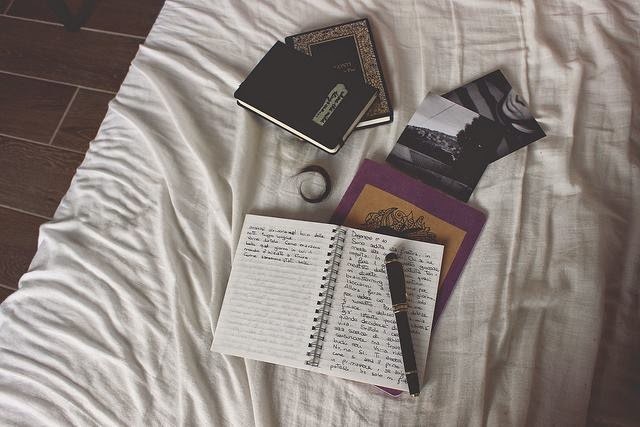 You are a lovely writer, and the words you put down are beautiful. Keep up the good work and never lose your dreams. Sometimes you write so maturely that I doubt on your identity...you are so deep and intuitive sometimes...well..writing is a bliss and being able to write is a gift..! Can connect with it. Words give us solace, a reason to smile and yes, as you said, it's more precious than gold. Such a beautifully summed up feeling. I did stop by your blog a while back, was mesmerized my the header. This time, I'm mesmerized by this post. In the strangest of days and ways, I find myself. The time it happens, I come here and tell my world. This place is sacred to me, it keeps the memories alive. If you visit, feel free to leave behind a piece of your mind. In the worst and in the best of days, its the togetherness that counts. At least, so I think.